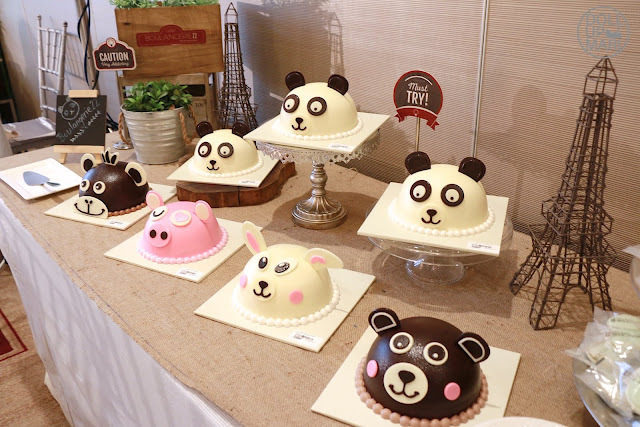 The panda's dream has finally come true!!! 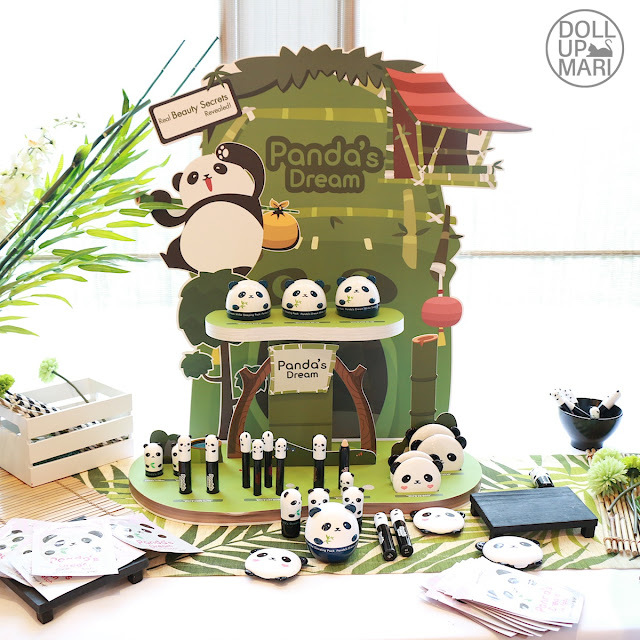 Tony Moly was pleased to announce that their Panda's Dream line is now a full range of makeup and skincare, with reformulations and improvements done on already existing products in the product line. 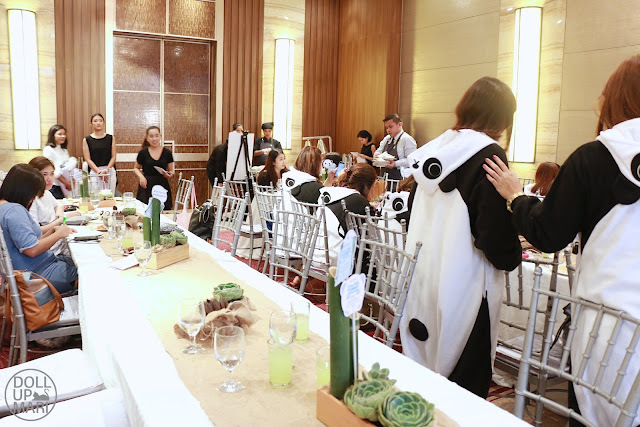 They invited bloggers and members of the press and media to a fun filled afternoon at One Shangri-la to discuss the latest Korean trends, show the new products, and there was also a special mission! So this is the venue in itself. 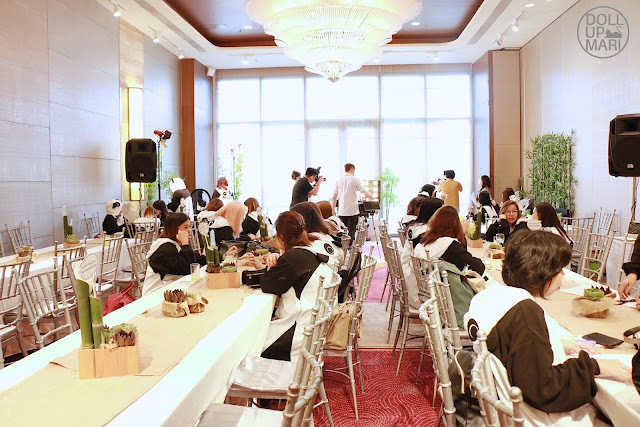 The special mission lies in the fact that this whole hall is filled with people wearing panda onesis!!! Too cute for my life! When they sent out the event invites, I was puzzled as to why there was an indication that there was going to be a shoot and that consent was to be asked of. 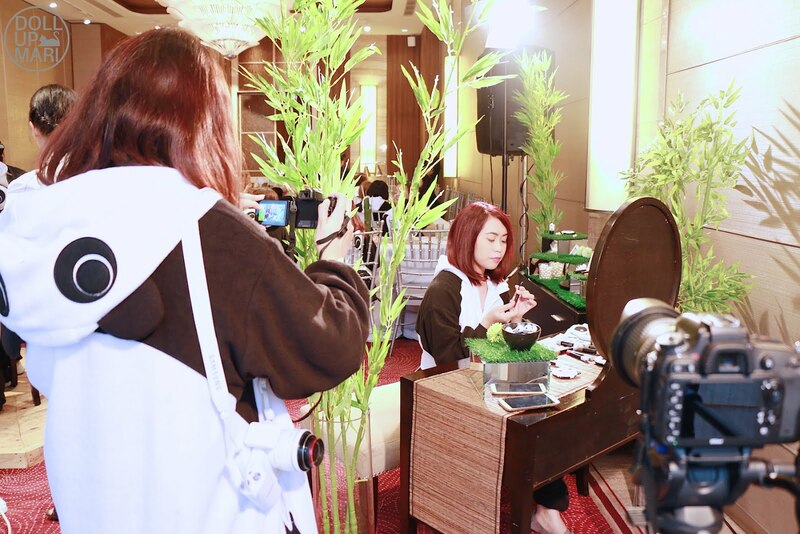 Being a blogger for so long has gotten me used to random people taking my photos and videos during events, and I am sure that by this time my weirdest facial expressions have probably photobombed other people's blog photos. So I really wondered as to why the invitation had such a clause. Turns out, upon entrance, they got everyone to wear panda onesies as they will be shooting a special panda video!!! And before everything these are the yummy cakes from Boulangerie 22. They taste really good as the sponge cakes are light and fluffy and the buttercream tastes authentic. So yes, imagine this whole hall filled with people dressed in onesies!!! 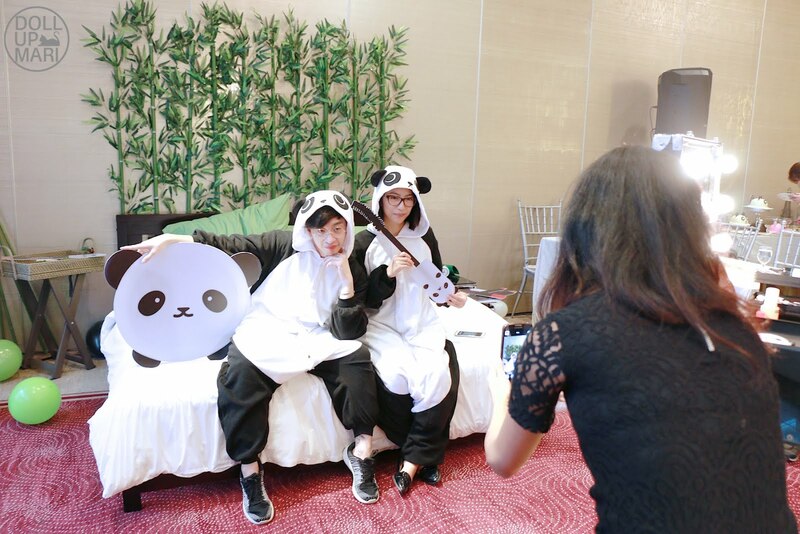 Bloggers are used to doing all sorts of crazy things during events so I was so amused to see even staff from high fashion and super sossy magazines being their own cute selves in their panda onesies as well. I have barely any fashion sense but I'm sure onesies like these will never count as a fashion faux pas. True to the spirit of the event, Erika and Carizza try out the Panda powder pacts and blushes. The lip and cheek duo is theee besssttt!!! The lasting power is craaaay. Everybody is sooo game for the shoot! I thought a lot of people would chicken out, but in reality a lot of them gamely danced around and rolled around in the bed provided! 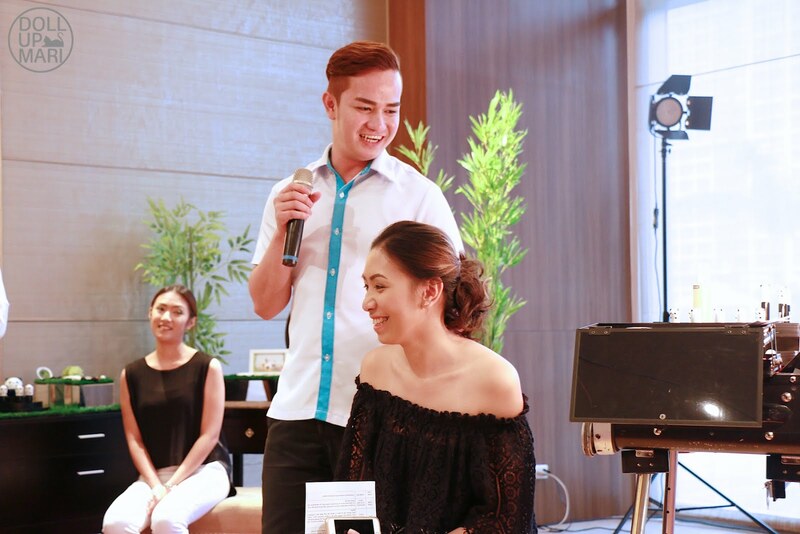 So aside from the super cute shoot, they also had their makeup artist present the current makeup trends. He presented the gradation lip and contouring. 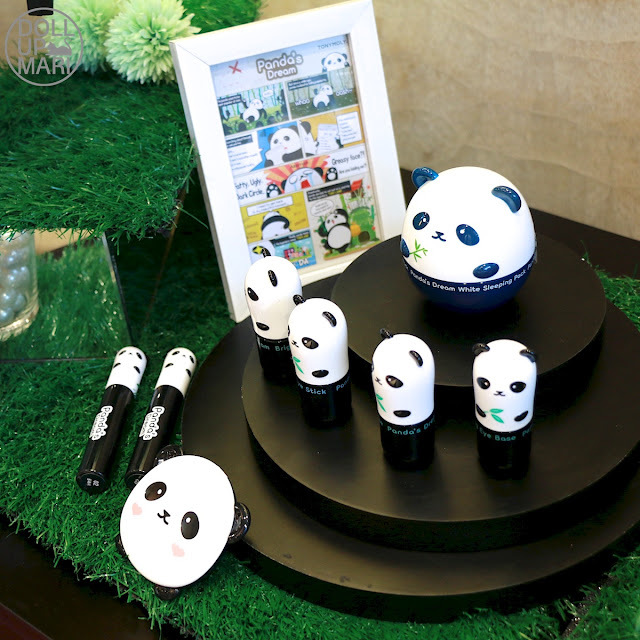 For the gradation lip, the Panda's Dream line concealer and powder can be used on the outer parts of the lips while the Panda's Dream lip and cheek dup can be used for the inner parts of the lips. For the contouring, they now have contour sticks, which they proudly presented. Amusingly, all of them are matte, so they can pass as the base makeup or foundation of some people. Whether the sticks will be used as foundation, concealer, contour or highlight will depend on the user's skintone. 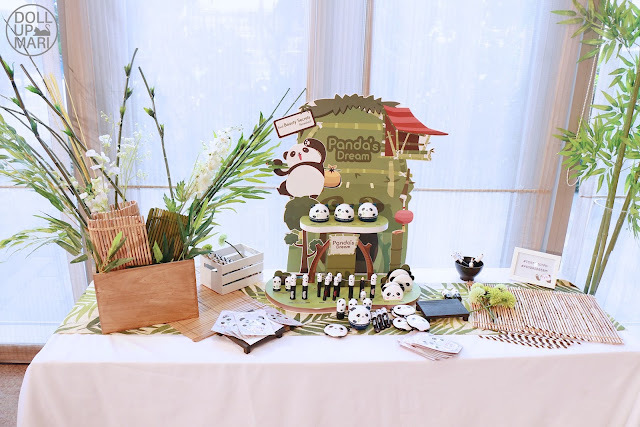 And these are the products!!! 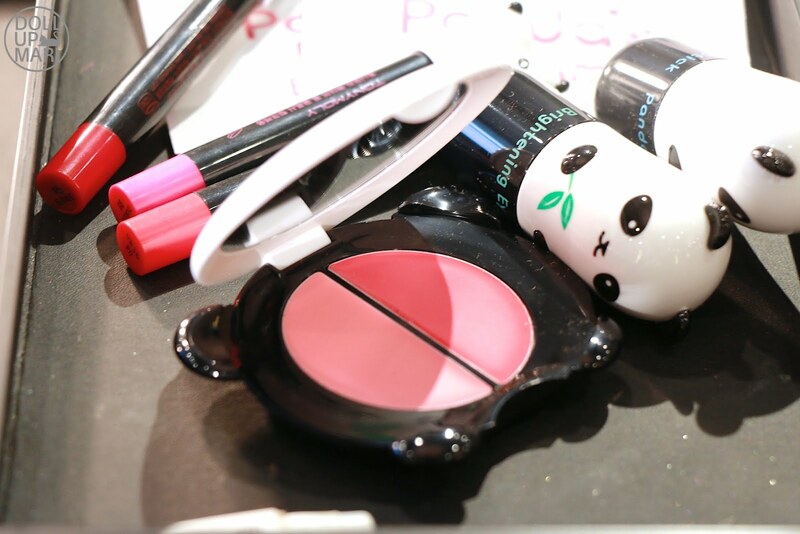 The palette is their lip and cheek duo in shade 02 or Pink Baby. 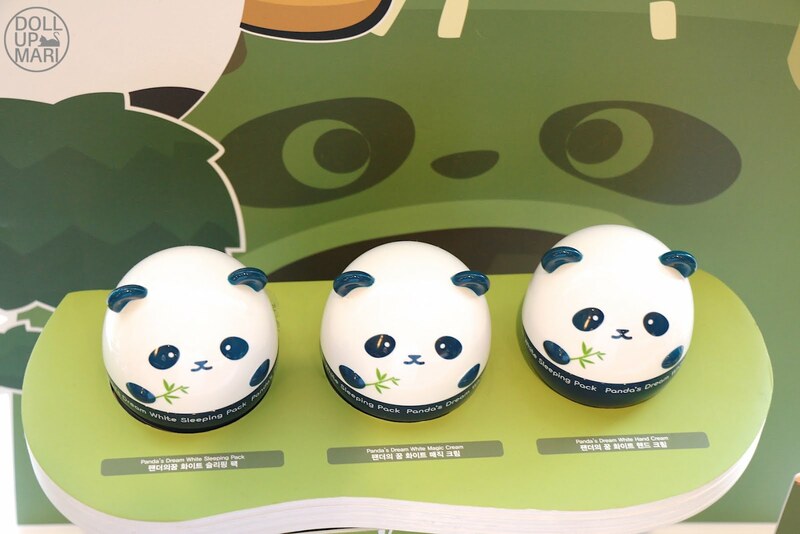 The press release says Pink Berry but the hangul on the packaging says Baby, so I think the name will depend on whether you're looking at the english name assigned or the hangul. This is probably the cutest shade of the cutest product in the collection, and early on I am already seeing so much potential for this product. Like before, they have their hand cream, magic cream, and sleeping pack.